Voltron flying through an asteroid field. 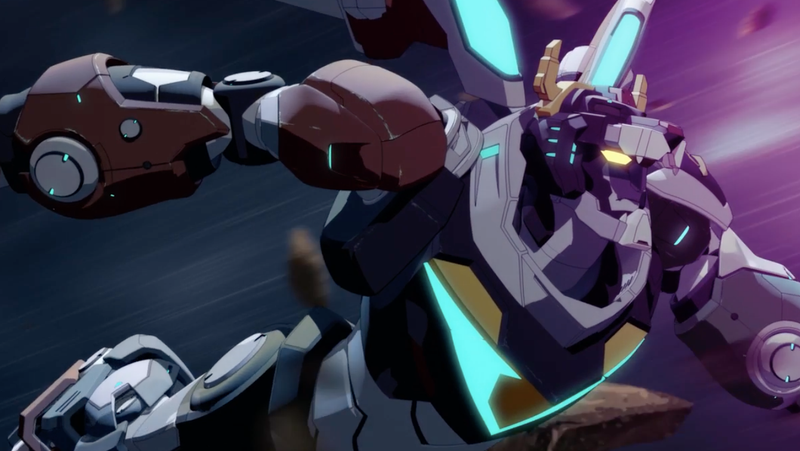 When the Paladins made the decision to team up with Lotor in Voltron: Legendary Defender’s fifth season, they did it out of the desire to stop Zarkon, the greater of two evils and Lotor’s father. Unsurprisingly, that choice comes with some major consequences that feature largely in the sixth season’s first Netflix trailer. Even with Zarkon dead, the Paladins’ problems are far from over given the power vacuum that his death has caused, as well as the fact that the Galra still believe the Alteans are responsible for the destruction of the Galra homeworld. Now that Lotor’s been revealed to have worked with the Paladins to defeat his father, the Galra have turned on him, and in the first trailer for the show’s upcoming season, the unlikely teammates find themselves once again going to war with one of the fiercest races of invaders the universe has ever seen. As the Galra continue their intergalactic expansion, the pressure’s on for Team Voltron to do everything they can to protect the galaxy’s remaining free planets and save countless lives. The next season of Voltron: Legendary Defender drops next Friday, which means that you’ve got just over a week to get all caught up.